Your Transplant Day is Here! The kidneys maintain the environment required for the perfect functioning of your body’s cells. They remove waste and adjust for the elimination of water and electrolytes. The kidneys buffer body acid to balance our pH levels (normal ranges from 7.35 to 7.45). Acid accumulation lowers one’s blood pH, which could lead to cardiac arrest and death. The kidneys excrete waste products of metabolism such as urea, toxins and many drugs. The kidneys secrete a hormone called erythropoietin which allows red blood cells in bone marrow to mature. This prevents anemia and maintains a normal hemoglobin level. Healthy kidneys produce essential vitamin D which promotes strong bones, good blood pressure & sugar levels, immune system regulation and a healthy thyroid. Recent studies have proven that it also helps to prevent lung, breast and colon cancer. 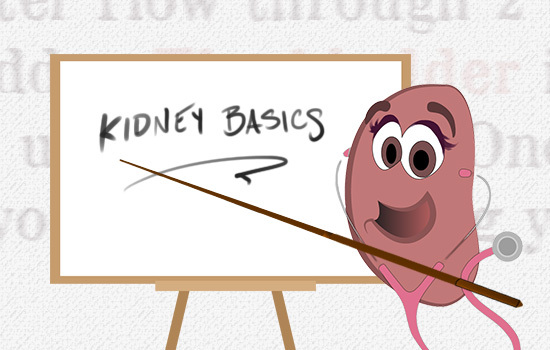 The kidneys produce an enzyme called renin which is important in regulation of blood pressure. Renin then stimulates your adrenal gland to produce a hormone called Aldosterone.